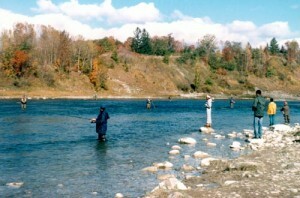 The Ontario Steelheaders transfer adult steelhead rainbow trout fish upstream on the Saugeen River and occurs at the same time as the steelhead trout egg collection each spring. Adult rainbow trout transfers also take place in the fall on a MNR permit-basis. 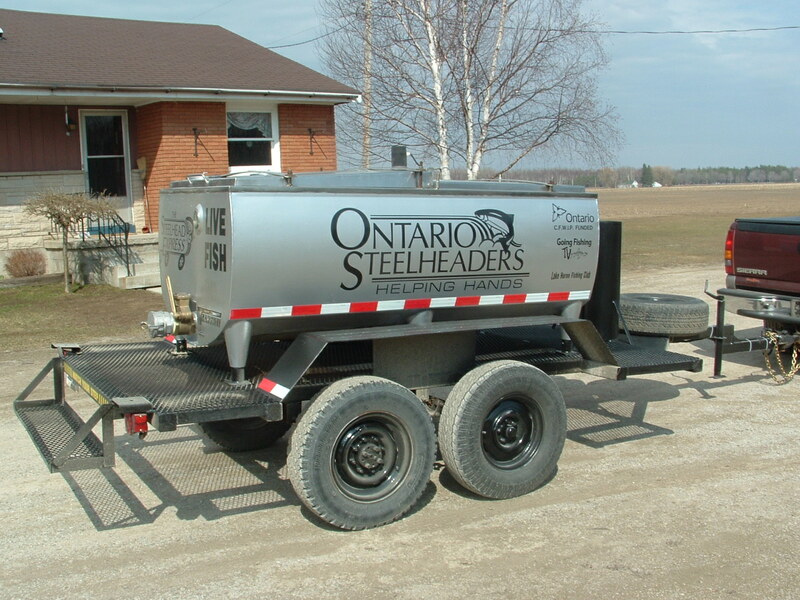 The adult steelhead trout are transported in our customized trailers, The Steelhead Express, 85 kilometers upstream to prime trout spawning and nursery habitat. 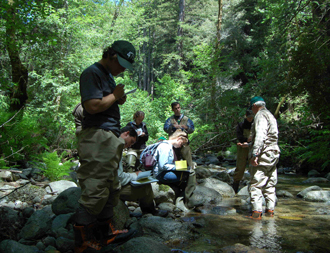 Steelhead rainbow trout fish transfers are dependent on water, weather and fish passage conditions. 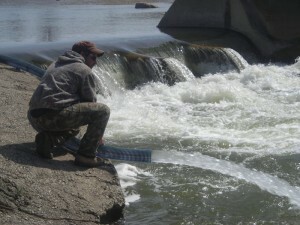 Steelhead Egg Collection and Adult Steelhead Transfer take place in April and May at Denny’s Dam, on the Saugeen River, Southampton. 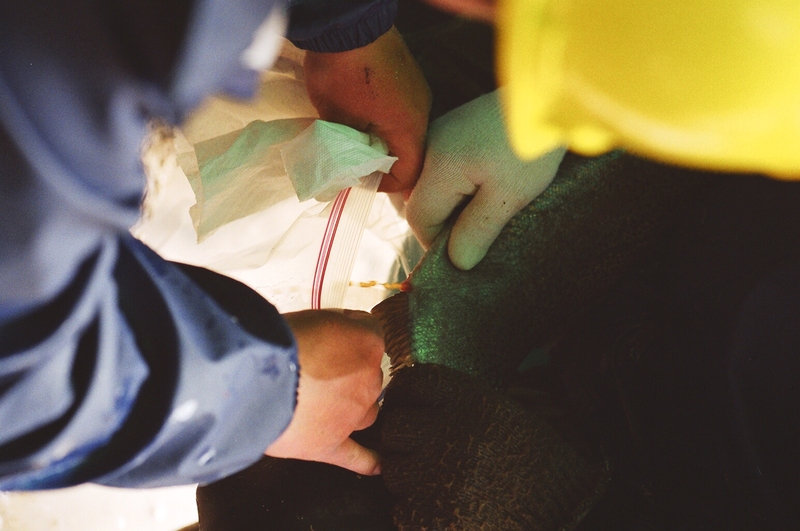 Under the direction of the Projects Chair, he and his volunteers collect and fertilize approximately 600,000 migratory steelhead rainbow trout eggs for our partner fishing clubs and their trout hatchery operations. 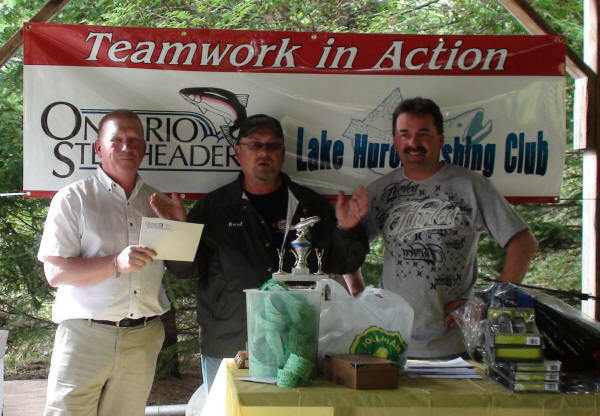 The Ontario Steelheaders’ Spring Steelhead Derby is held on the Saturday following the Ontario Rainbow Trout opener while the Fall Steelhead Trout Derby is held the Saturday following Thanksgiving in October. 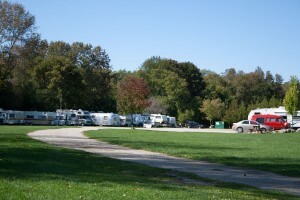 Both derbies are held at Denny’s Dam Park on the Saugeen River in Southampton Ontario. In partnership with the Lake Huron Fishing Club, we’ve entered a co-operative stocking program. Each spring, up to 200,000 Steelhead trout eggs are diverted to their hatchery facilities in Kincardine, and Port Elgin Ontario, where they are reared for one year, then released the following spring directly into the Saugeen. This annual routine injects approximately 60,000 yearling rainbows into the streams at a critical time in their lifecycle. This project is the most significant advancement for Steelhead populations in the Saugeen in well over 30 years. The volunteers from both clubs, too numerous to name, are the real heroes in this project! Without them, the bottom line is, it just wouldn’t happen. Many, many thanks, to everyone! 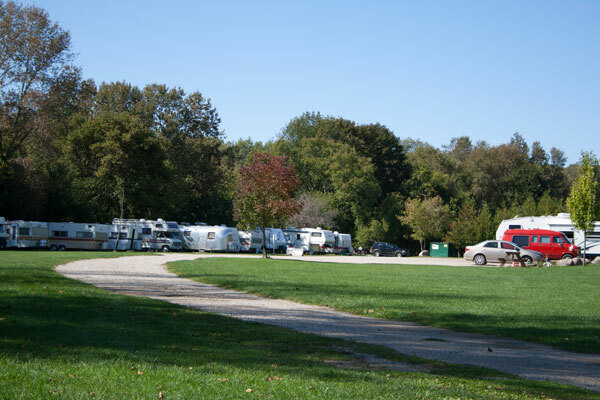 Meetings are chaired by the President, and include status reports by each of the Directors. Reports are also received from various members with respect to the outside organizations and committees they liaise with on behalf of the Ontario Steelheaders. Meetings may also include a presentation by either a member or a representative of an outside group. These have included demonstrations, videos and verbal presentations by local fishing guides and Ministry representatives. 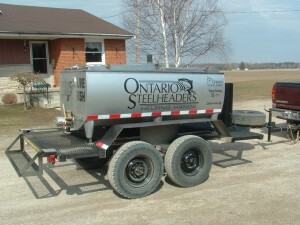 Many Ontario Steelheaders’ members are actively involved in other various committees of organizations in an effort to help ensure that the many projects of each are consistent with an overall plan to improve rainbow trout access, habitat, and populations.